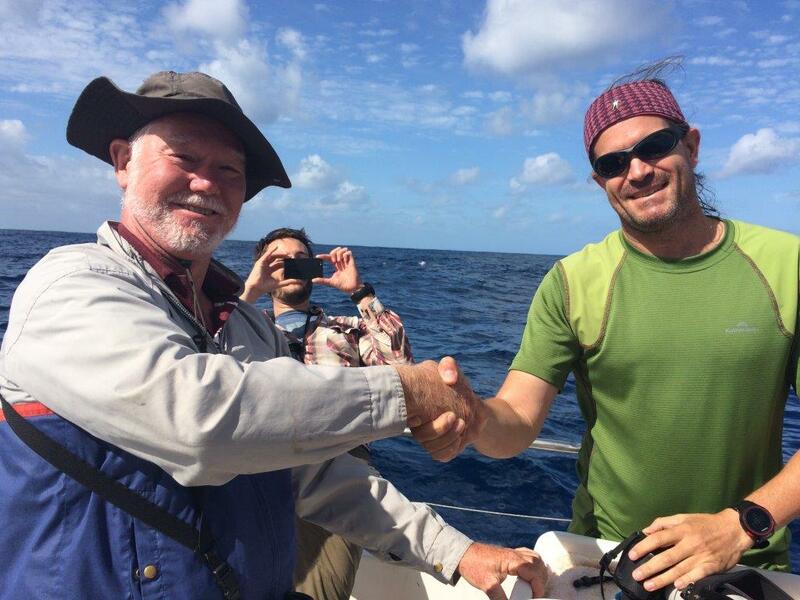 My Australia & Territories bird list (IOC based): 734 species. Latest additions: Little Stint (Dec '18); also, the latest IOC list gave me a couple of additional species. My Australia mainland bird list (IOC based): 701 species. Latest additions: as above. I am a keen bird-watcher with tertiary scientific training (PhD in chemistry) and an industrial R&D background. I have gradually evolved into a self-trained ornithologist especially as my working life wound down and eventually finished. 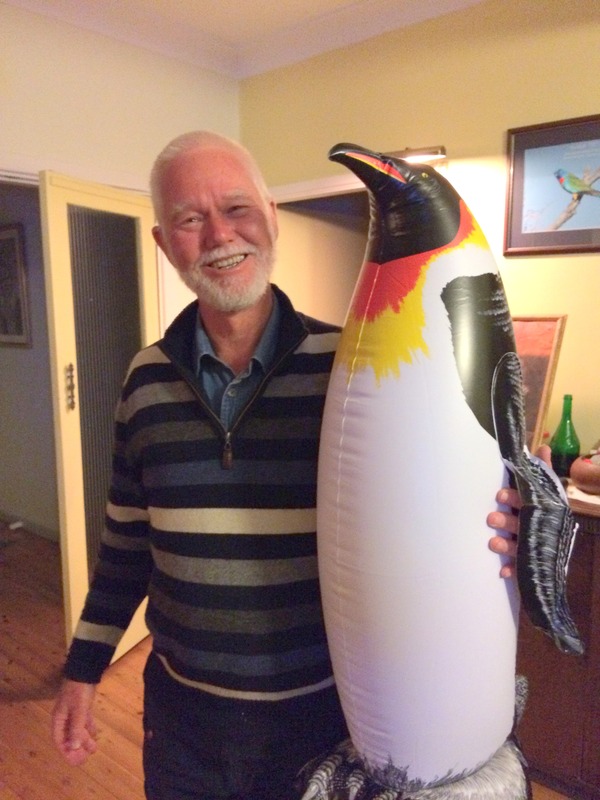 I began to be interested in birds in 1982 when I was living in Canberra. In 1983 I moved to Newcastle and soon discovered what a wonderful place I had moved to. 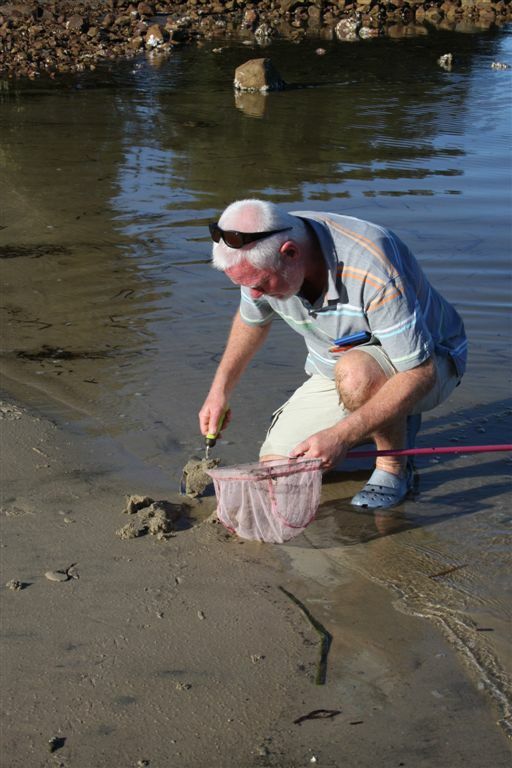 More than 450 species have been recorded within a few hours travel of Newcastle! There are bush birds, rainforest birds, waterbirds, shorebirds, seabirds and pelagic birds all on our doorstep here. I knew hardly any of these birds when I moved here, and for a long time my focus was on leisure birdwatching, just getting to know more about local birds and about the birds elsewhere in Australia. In the 1990s I began to want to take a more scientific approach to what I did. In recent years, with work and family constraints less demanding of my time, I have been able to spend more time thinking about birds (as well as looking at them). I joined Hunter Bird Observers Club (HBOC) in early 1984 (almost 35 years ago!). I would recommend anyone with an interest in birds to join a local bird club. You will meet people who can teach you lots of things about birds, you will find out where are the best local places to find birds (including getting access to private properties that normally would be inaccessible), you will get to socialise with people who share your interest in birds. I have had senior roles with HBOC since 1987 when I became the Club’s Treasurer. I was President over 1998-2002, and have also had various stints as Vice-President and Management Committee Member. I also regularly pop up doing all sorts of initiatives for the Club. In 2007, I was elected to HBOC Life Membership. I think that HBOC is the premier regional bird club in Australia (and I'm not alone in thinking that) and I'm very proud to have contributed in some small way to its successes. 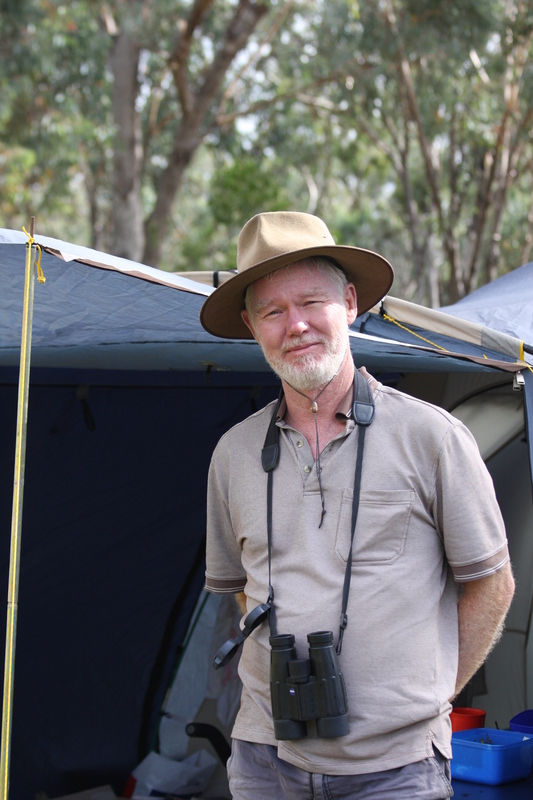 I am also a long-standing member of BirdLife Australia (for 23 years now) and also a member of the Australasian Wader Studies Group for almost as many years. BirdLife Australia provides national leadership and advocacy, which underpins HBOC's regional focus - I think this is the model which should be adopted Australia-wide. My favourite bird is the Azure Kingfisher - partly because it is such a beautiful bird and partly because it is always found at tranquil and picturesque settings e.g. alongside quiet creek beds. 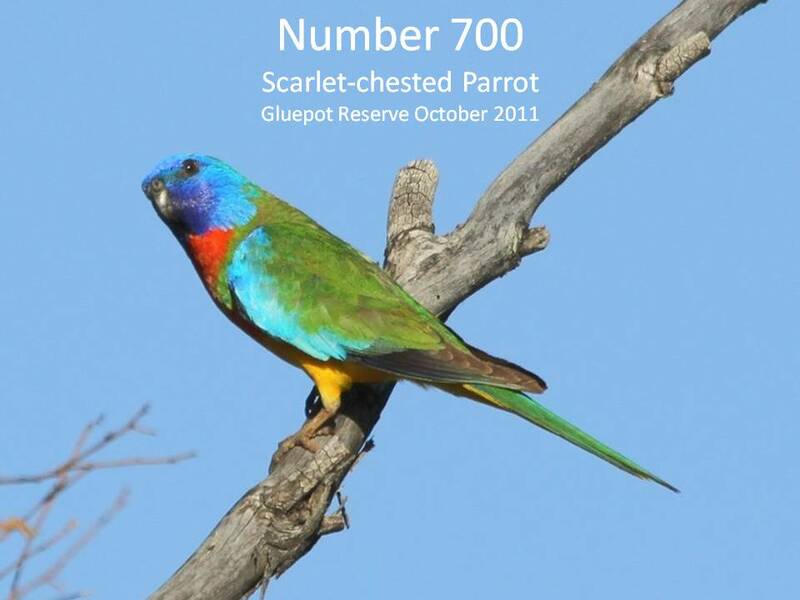 The Scarlet-chested Parrot ranks highly for its beauty - I have only seen it on two occasions (but several birds) but it was #700 on my Australian bird list and that earns it a few bonus points! My thanks to Jim Smart who took the image that is the basis for the picture above, a copy of which sits framed on my mantelpiece. I have a lot of time for the little Rufous Scrub-bird - I just love to hear them belt out their territorial calls - and every now and then I get to see one which is cream on the cake, really. and now I've even had one in the hand!